I was throwing a dinner party for Cambridge chums (yah yah) and needed to make a bit more effort than usual. To be fair to myself, cooking is difficult when you only have two electric hobs. It limits your options. A student budget also limits your options. I knew my friends weren’t expecting a feast, but I couldn’t bear the embarrassment of being a food blogger who fails at cooking. The pressure was on; I had to impress. Little did I know that my evening was to be marked by my mother. My mother – hero and villain. She kindly suggested a recipe from Waitrose.com that had gone down a treat at home. Pork and sweet potato casserole. It had the right amount of sweetness, and depth from smoked paprika, which was balanced with sour cream and wonderfully finished with parsley. It was a winner. My cooking skills didn’t desert me, and a delicious dish was born. My guests proclaimed it the best dish they’d eaten all week. I was so proud. We had good conversation and wine. We were tucking into our plates with gusto when my phone dinged. A text message. I’d like to pretend that I’m incredibly popular, but the fact is that I don’t get texts all that often. I believe in functional texting; I only use my phone in order to organise something. That’s our dog Tiptoe, who, in my absence from home, had reached adolescence. She was in season. 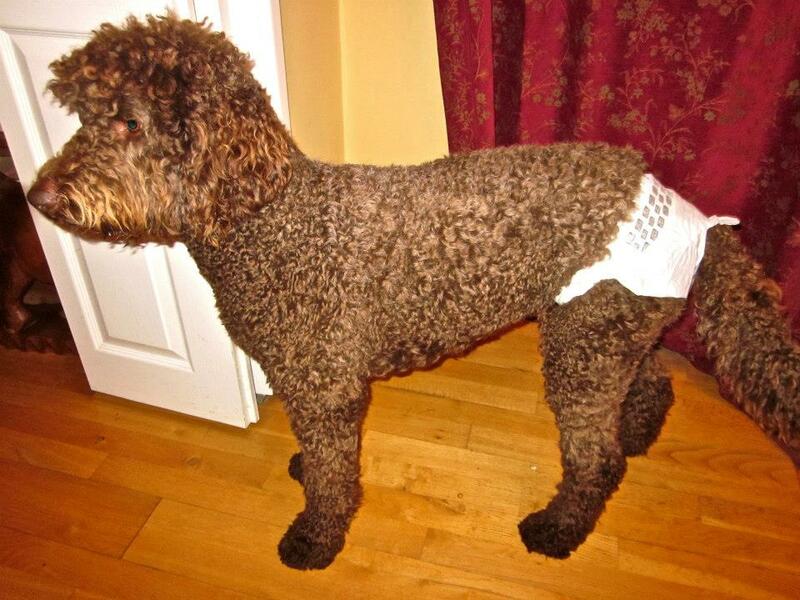 AND SHE WAS WEARING A NAPPY. My guests looked quizzically at me. Like I said. My mother – hero and villain. Heat oil in a large casserole and fry the pork until brown. Add the onion and fry for 2 mins, then add the garlic, and fry both until softened. Add the sweet potatoes, cumin, paprika, oregano and seasoning. Stir for 1-2 mins. Pour in the wine then add the tomatoes to the pan with 100 ml cold water. Bring to the boil and then cover the pan and simmer gently for 1 1/4 hours until the pork is tender and the sauce has thickened. Stir in the soured cream and scatter with the chopped parsley. 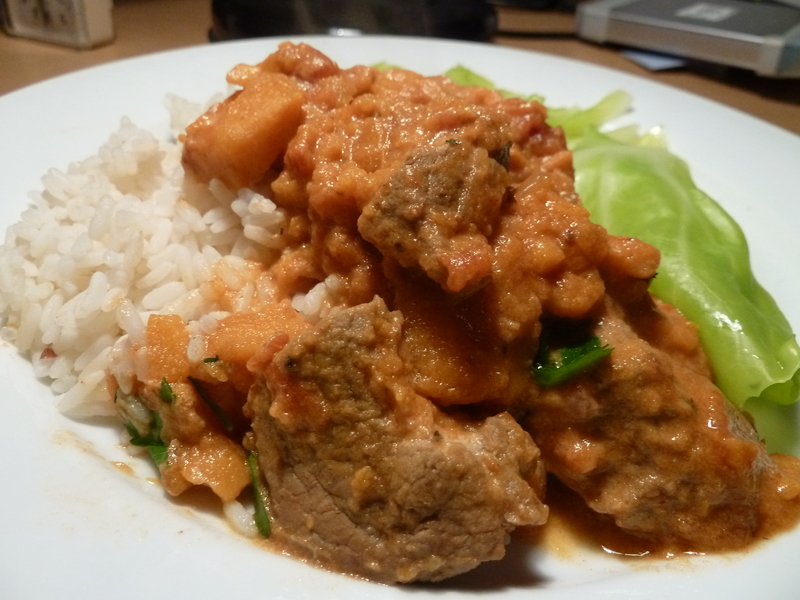 Serve with steamed rice and a large green salad or steamed cabbage (personally, I found sweetheart cabbage went well). 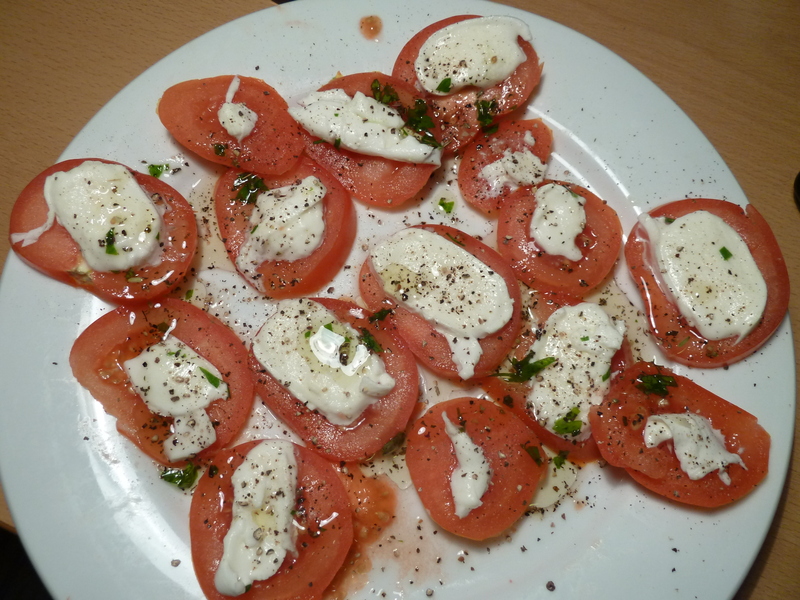 Arrange tomatoes on the plate. Arrange the mozzarella on top. Mix herbs and oil together. Dress the plate and serve! Previous E Pellicci Review / A damn good breakfast!